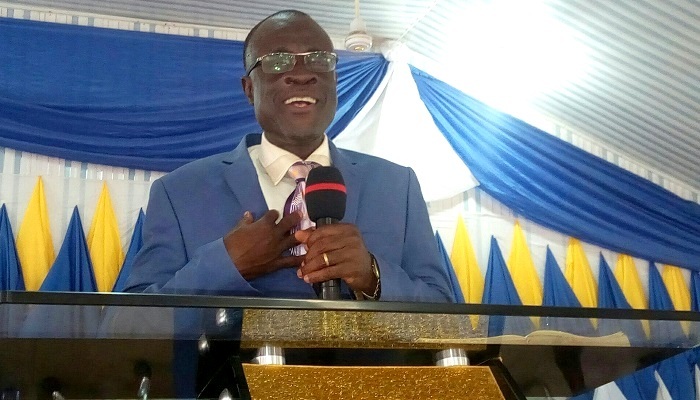 The Yennyawoso District Minister of The Church of Pentecost, Pastor Charles Oduro, has urged Christians to avail themselves to be filled with the fire of the Holy Ghost in order to be burned with the passion to witness about Christ to others. According to him, those who are full of the fire of God control circumstances and situations. Such people, he said, are bold and fearless and cannot be limited or barred in any way. Pastor Oduro said this during the Yennyawoso District Revival Week which took place from Monday, October 22 to Sunday, October 28, 2018, at the Central Assembly auditorium. The week-long event which was held in two sessions: morning and evening, was under the theme: “The Spirit Gives Life; The Flesh Profits Nothing” (John 6:63). Speaking at the culmination of the event on the topic: “Fire; The Power And Life of God” based on Genesis 3:21, 1 Kings 18:38 and Acts 2:2, among other texts, Pastor Oduro explained the potency of fire and related it to the power and life of God. He noted that the fire which is one of the emblems of the Holy Spirit releases stored-up energy. “Oils, gas and stuff have energies in them but it takes fire to release those energies,” he stressed. Confirming the fire nature of God with biblical references, Pastor Oduro said that God spoke with Moses through fire (Exodus 3:2) and led the Israelites with fire during their exodus from Egypt (Exodus 13:21). He added that Elijah was taken up by God through the chariot of fire (2 Kings 2:11) and He touched the mouth of Isaiah with fire (Isaiah 6:6-7). “These are indications that the God we serve is a consuming fire,” he re-echoed. He prayed that the fire of God will continue to burn in the souls of believers to invigorate them to do more for God. Touching on the importance of fire, Pastor Oduro indicated that fire illuminates, burns, purifies (it makes Christian life beautiful), searches, attracts. “Fire also releases heat,” he said. He decried the lukewarm attitudes of the contemporary Christians, particularly, the church leaders and the youth and called on them to eschew such attitudes by studying the word of God, living holy lives, and praying unceasingly.